Looking forward to Farmers Market Season? 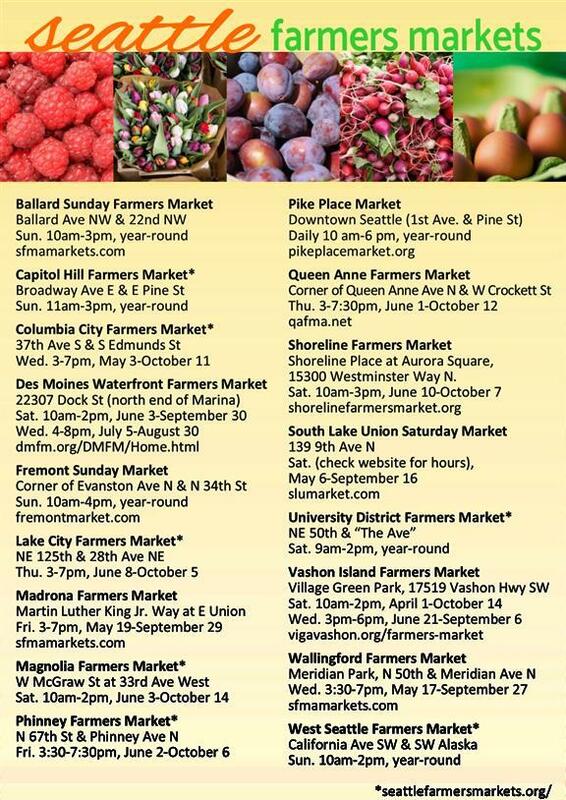 Here is a list of the Farmers Markets here in the Seattle area, where they are located and when they are open. Coffee Table Chat Video Series – What is the cost of waiting to buy?